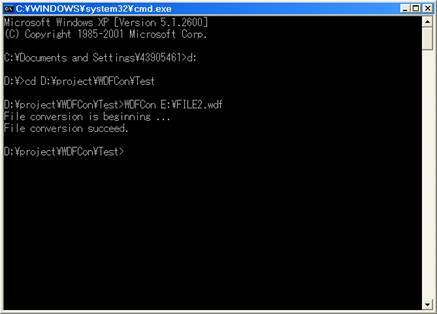 This tool enables you to convert a binary data file saved by DL or DLM series instruments with .wdf extension into binary data files with .wvf and .hdr extensions. This tool(converter) works in a command prompt window on a Windows-operated personal computer(PC), and can be executed automatically from your Visual Basic(VB) or Visual C(VC) programs as well. Programming samples for VB and VC are also available for your reference. Please see the readme.txt file for the instructions, which is being included in the zip file.